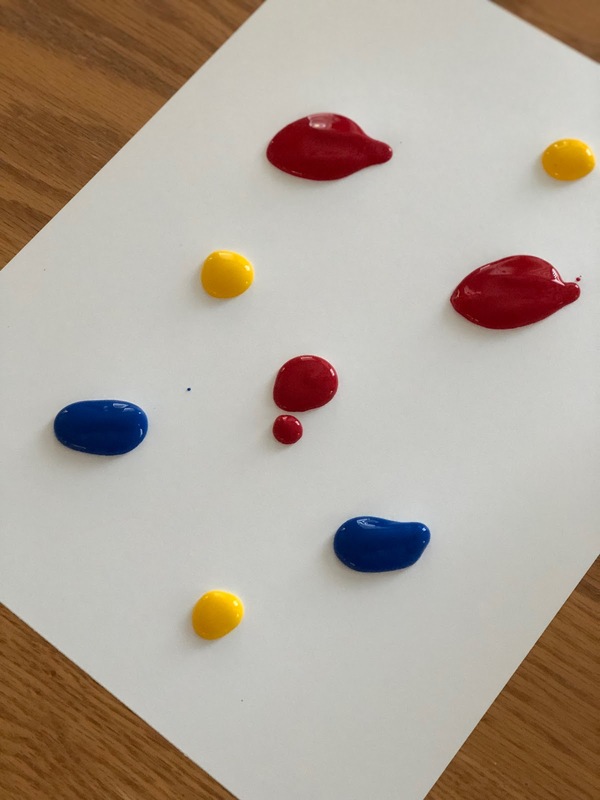 Halloween is pretty much one of my favorite holidays and I love finding simple ways to create with my kids using a Halloween theme. 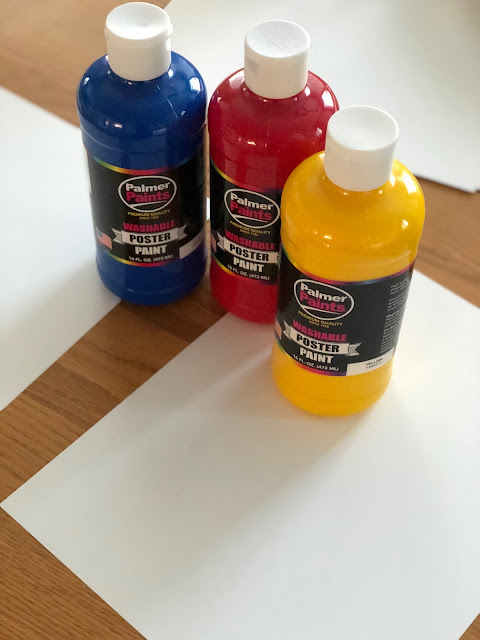 The kids are always SO EXCITED about pumpkin, potions, ghosts, and monsters! 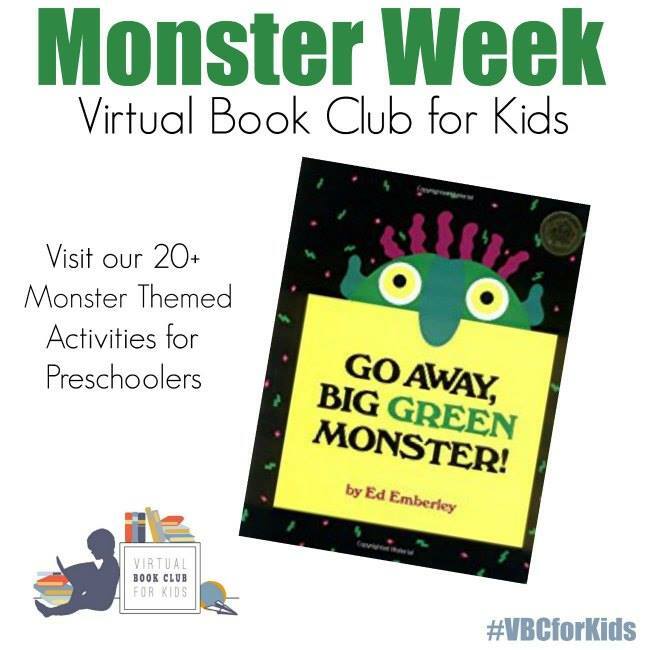 This week for our Weekly Virtual Book Club for Kids we are reading Go Away Big Green Monster by Ed Emberley and we have a simple monster themed craft to share with you! Go Away Big Green Monster by Ed Emberley is a colorful and darling book that is entertaining and helps kids conquer any fears about monsters. 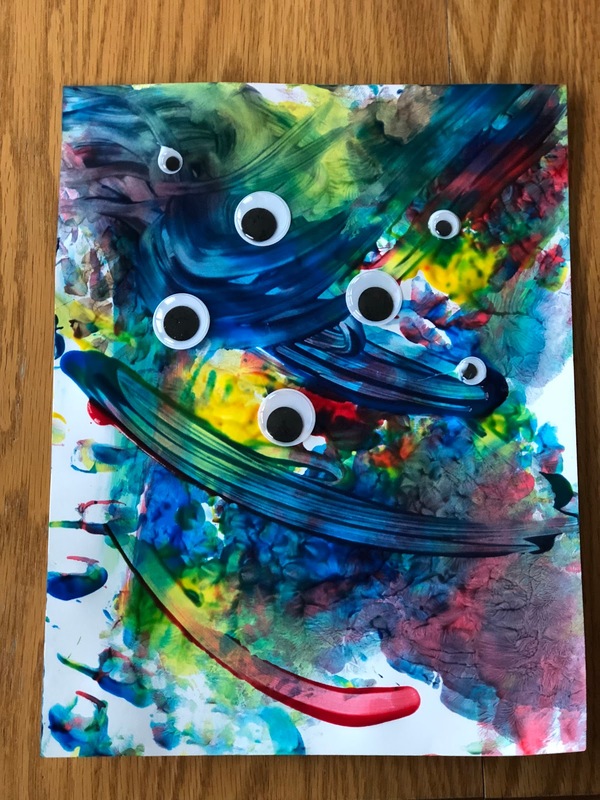 To get started with our finger-painter monsters, I put some paint on a piece if cardstock and then encouraged my toddler to smear and explore the paint. She loved smashing and swiping and even drawing circles in the paint. 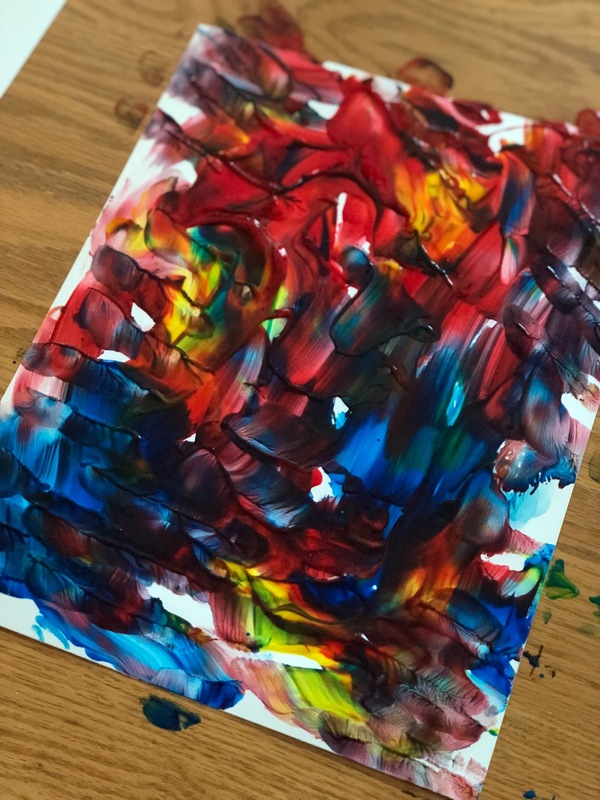 After covering the entire paper with paint I would quickly replace it with another paper. 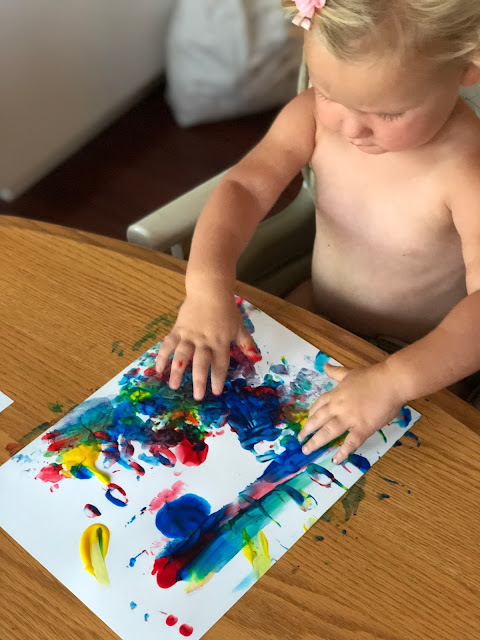 Sometimes we'd take a blank paper and press it down on top of the painted paper and see what happened. 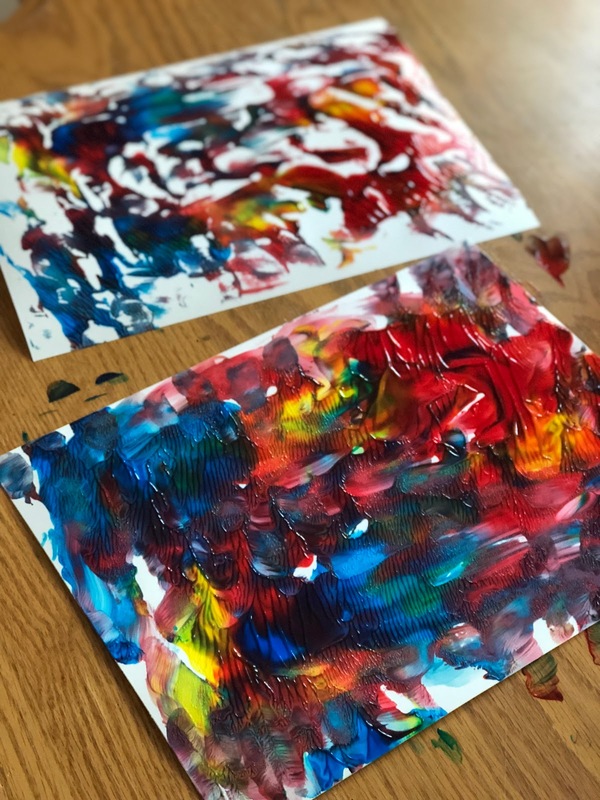 The colors were gorgeous. Once we were done painting, we added white glue and googly eyes and other embellishments to make mouths. 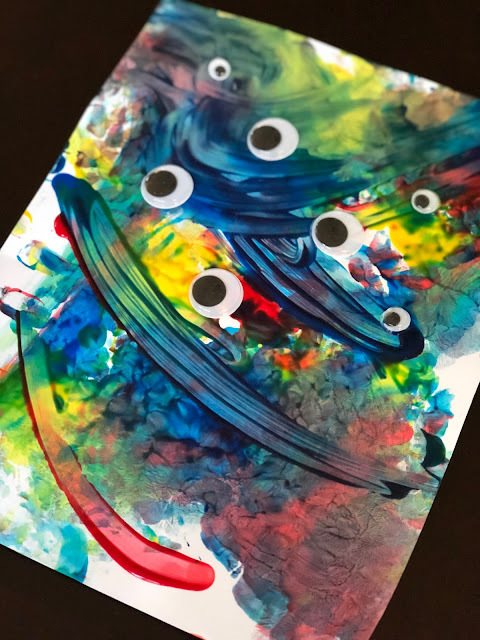 We skipped arms and legs for this simple monster craft and my daughter is in love with her creations! 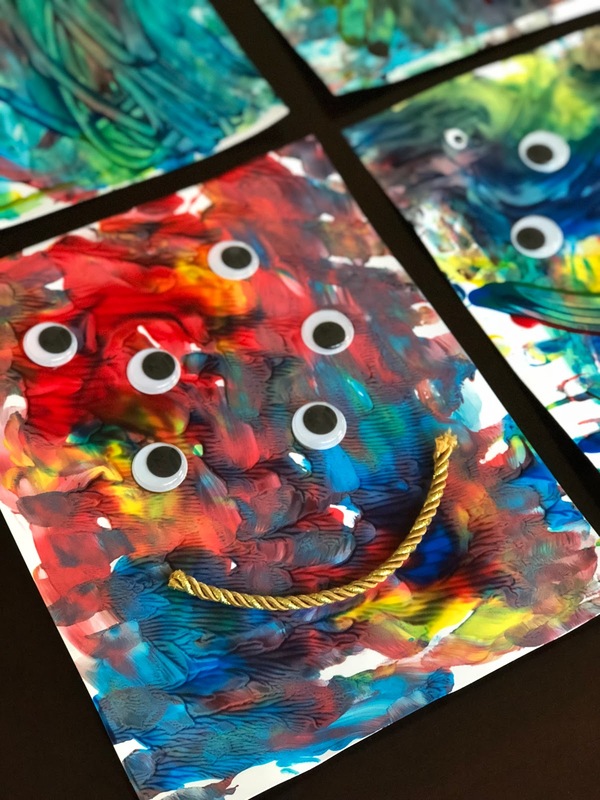 Yarn, ribbon, rick rack, and even scraps of paper can be used to add details to the monster. 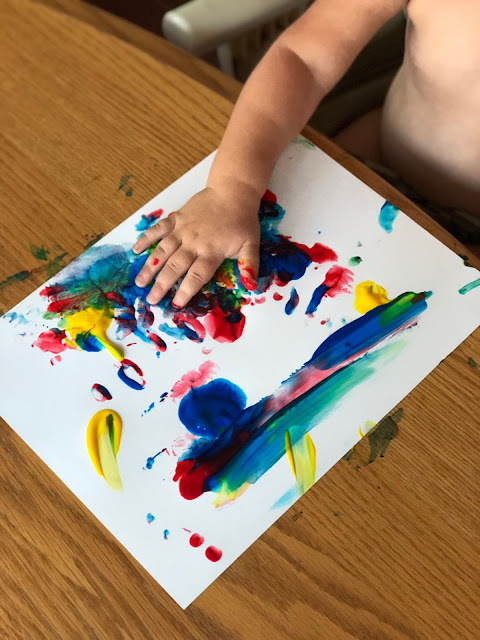 Older children will be able to add a lot more details to their monsters than toddlers. 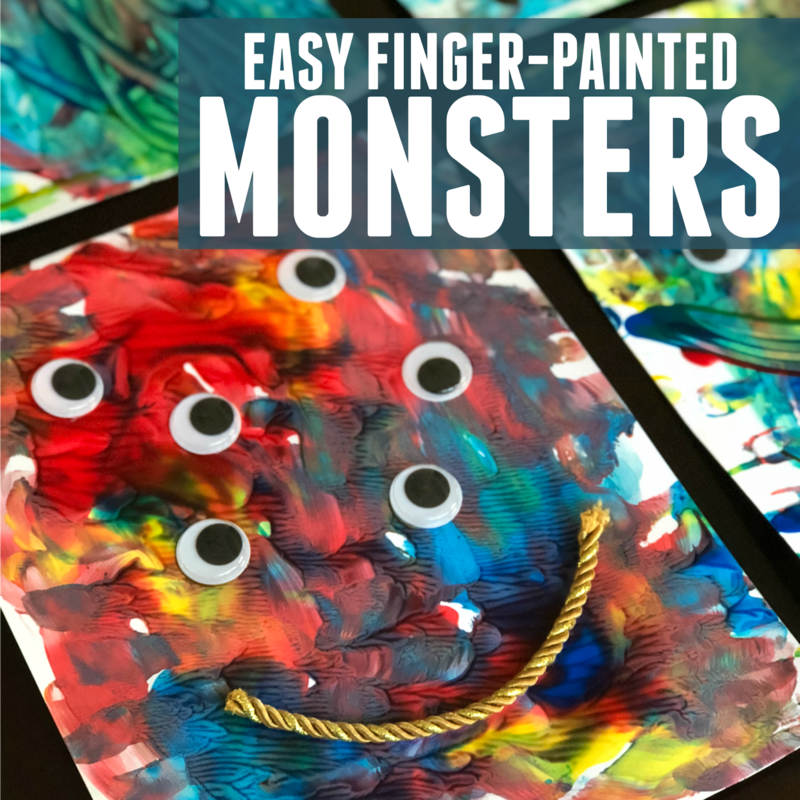 NEED SOME MORE MONSTER THEMED ACTIVITIES?